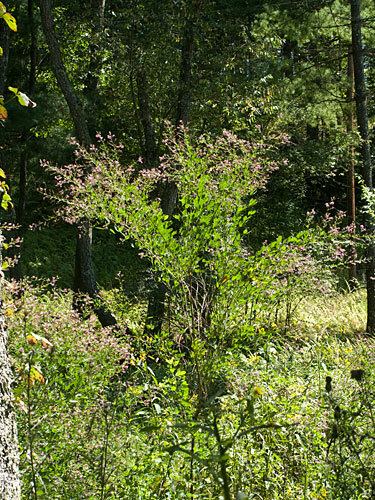 Shrubby lespedeza is an upright semi-woody forb, 3 to 10 ft. (0.9-3 m) in height with many slender stems and arching branches. Leaves are elliptical, alternate, abundant and three-parted. 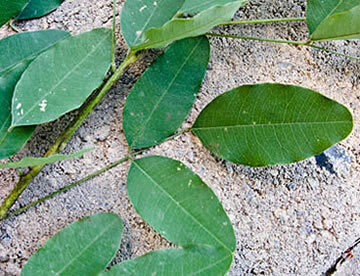 Leaflets are oval with the lower surface lighter than the upper surface. 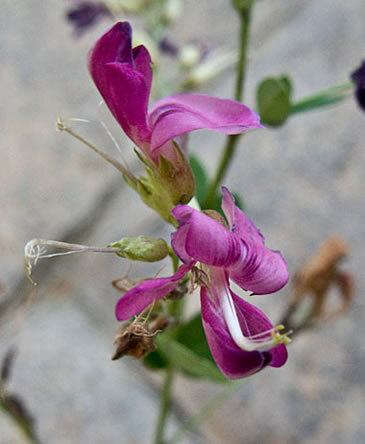 Flowering occurs in the summer, when purple, pea-like flowers develop in clusters. Flowers are less than 0.5 in. (1.3 cm) long. Shrubby lespedeza is an extremely aggressive invader of open areas, forming dense thickets, which displace native vegetation. 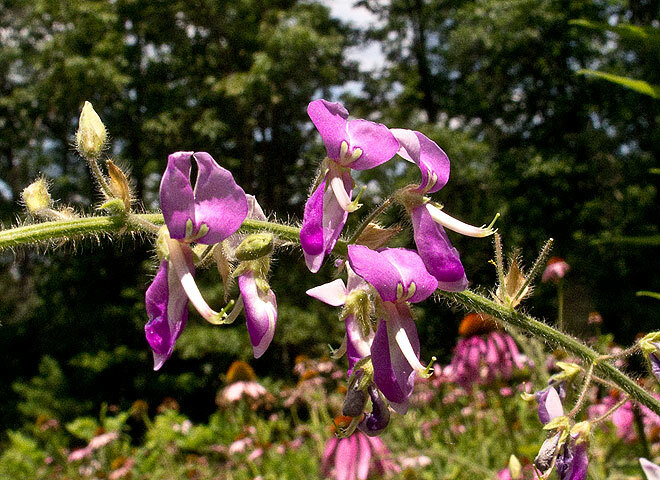 Native to Asia and introduced into the United States in the late 1800s, shrubby lespedeza has been widely planted for wildlife habitat, especially for northern bobwhite quail.